Did you know that there are over 1.9 billion smart home devices in the market today? It’s projected that number will skyrocket to around 9 billion by 2018. 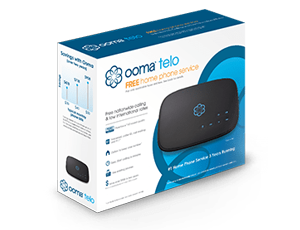 If your home contains one of them, then you should know that Ooma Telo is able to integrate with some of the most popular connected devices like Android and iOS phones, Apple Watch, Amazon Echo, Philips Hue, LIFX, WeMo, and Nest. It’s a lot of potential connections, but thanks to If This Then That (IFTTT), you can now simplify your life by automating common and repetitive digital tasks. For example, there are IFTTT recipes where you can receive incoming calls and voicemail notifications on your Apple Watch or Android Wear. You can even save mp3 copies of your voicemails to your Google Drive if you like. When it comes to your smarthome, here’s how you can get the most out of Ooma with IFTTT. When it comes to smart lighting, Philips Hue is arguably the biggest and best name on the market. So, it only made sense for Ooma users to be able to link their Ooma system with their Philips Hue ecosystem. Doing so allows you to expand your home telephone setup in exciting and innovative ways. For example, you can set up your lights to flash whenever there’s an incoming call to avoid waking up the kids. You can also change the color of your lights to visually notify you when you receive a voicemail. Regardless of how you choose to link Ooma with Philips Hue, there are countless opportunities for you to finally automate your home telephone. Blink your Philips Hue lights when you receive a call. Blink your Philips Hue lights when you receive a call from a number in your contact list. Change your Philips Hue lights to Ooma blue when you receive a voicemail. Blink your Philips Hue lights when you receive a call from a number NOT in your contact list. If Philips Hue is the most-well known smart bulb, then LIFX is a close second. Like the Philips Hue, you can link your Ooma system with all of these WiFi enabled, multi-color, energy efficient LED lightbulbs. For instance, you can set it up where your lights flash when a new call comes in. You can also have your lights change color when someone leaves you a voicemail. This is a simple way to experience the convenience of automated visual notifications. Blink your LIFX lights Ooma blue when you receive a call. Blink your LIFX lights green when you receive a call from someone you know. Blink your LIFX lights red when you receive a call from someone you don’t know. Change your LIFX lights to Ooma blue when you receive a voicemail. WeMo is a handy little gadget that lets you control your lights, your appliances, or even an entire room after being paired with Amazon Alexa or Google Home. It can also be linked with your Ooma system to include your home phone in your home automation set-up. For starters, you can have your WeMo switch turn on a light or other device when you receive a new voicemail or when an incoming call is coming through. Like with the Philips Hue and LIFX, there’s endless possibilities when paring Ooma with WeMo. Blink your WeMo connected light when you receive a call from someone you know. Blink your WeMo connected light when you receive a call from someone you don’t know. Blink on your WeMo connected light when you receive a voicemail. Blink your WeMo connected light when you receive any call. Don’t see a recipe that can make your home smarter with Ooma? You can get creative and start developing IFTTT recipes that can take your Ooma setup to the next level. Remember, the sky’s the limit when it comes to the types of recipes that can be created with IFTTT. If you want to start crafting your own IFTTT recipes, follow these helpful instructions in this FAQ. When will Ooma Home Security support ITTT and/or other integration(s)? 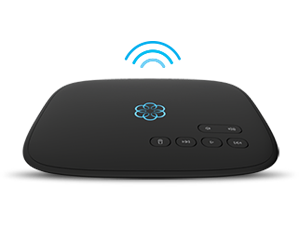 Also Ooma Home Security needs a siren to scare off intruders. We will let you know if Home Security becomes available with other integrations. We pushed out a Siren this year at CES Stay tuned for when it will be available on the market. Thank you Anthony! Those are all great ways to have smart home integration with Telo. The elephant in the room now is when can we finally integrate Ooma Security with IFTTT? ?